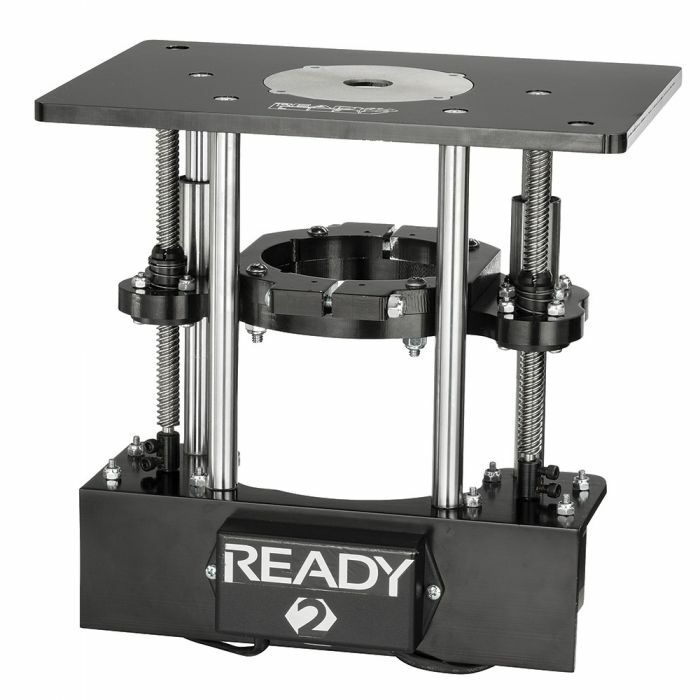 The Ready2Lift is an industry-first computer-controlled router lift that joins the Ready2Rout Fence in bringing the ease and accuracy of the digital age to all your router table operations. The Ready2Lift works either in tandem with the touch-screen controller on the Ready2Rout Fence (#44999, sold separately), or can be used with its own Controller Unit (#58808, sold separately). Just a few strokes of the touch screen commands the motorized lift to quickly and quietly position your bit at the perfect height for your operation. No more reaching under the table, no fiddling with hex wrenches and no mismeasurements! Eight bit height settings can be stored in memory for easily repeatable setups, and the lift features auto zeroing for fast setups after changing the bit.